Former Secretary to the President of India. Dr. Christy Fernandez belongs to the 1973 Batch of the Indian Administrative Services Gujarat cadre. He has also served as joint secretary in the Agriculture and Petroleum ministries, additional secretary in the Commerce ministry and principal secretary of the Gujarat Town Development Council and was Secretary to the Department of Tourism. He served as the Managing Director and Chairman of Export Credit Guarantee Corporation of India Ltd, and also as a Director of Export-Import Bank of India. Managing Director Kerala State Industrial Development Corporation Ltd and Secretary (Industries) Government of Kerala. She is an Officer of the Indian Administrative Service (Kerala Cadre), 1997 Batch . A Medical Doctor by academic training Dr Sharmila has done Masters in Public Administration at Maxwell School of Policy & Public Affairs Syracuse University, USA. In her career spanning more than two decades, she had held many important portfolios at the State Government and Central Government earlier. In the State Government she had worked as Secretary (Expenditure) Government of Kerala, District Collector of Kottayam and Wayanad districts ,Director of Social Welfare and various other capacities. At the Central Government she was the Director in the Prime Ministers Office and as Member Secretary of the National Pharmaceutical Pricing Authority. Director of Kerala State Industrial Development Corporation (KSIDC). 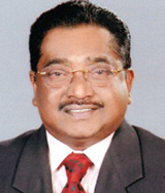 Dr. K. Ellangovan IAS is a medical doctor by profession. He got into Indian Administrative Services from Kerala Cadre in the year 1992. He served as the District collector of Palakkad District, Managing Director of Kerala State Electricity Board Ltd, Kerafed, Kerala Tourism Development Corporation, Executive Director of Council for Leather Exports (Ministry of Commerce) Govt. 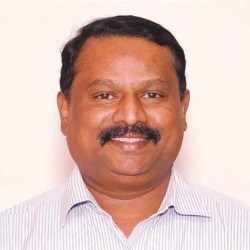 of India and Deputy Chairman in Chennai Port Trust (Ministry of Shipping) and presently serving as Principal Secretary, Government of Kerala (Industries & Norka).